The "Cluster" series began with "Kaiju Cluster" (alt. title "Kaiju Kluster") for a kaiju-themed art show in Chicago in 2010. I liked the abstract quality of the layout and decided to try it again for "Cocktail Cluster" a couple years later. 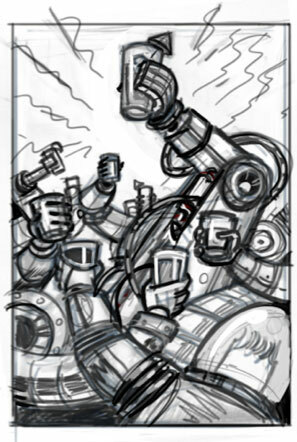 This version combined robots and booze, two of my favorite things. 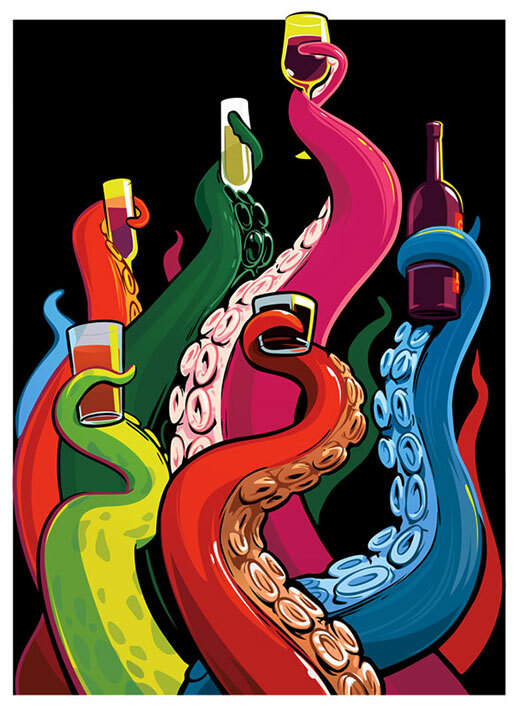 I decided to try it again with colorful tentacles in 2013 with "Tentacle Cluster". 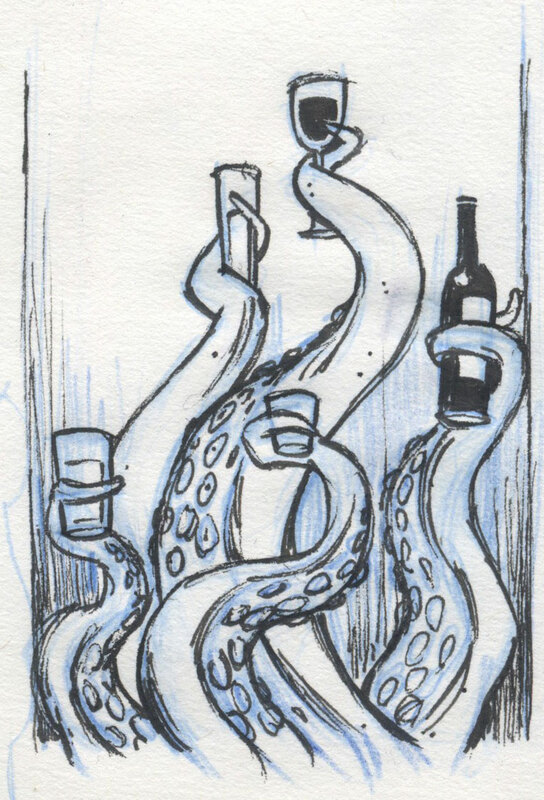 Laughing Squid included "Tentacle Cluster" in their Quarterly mailer along with a number of other surprises. Prints from the Cluster series are available at the Store section of this website.